Repasamos los videojuegos que más reconocimientos han logrado para sus desarrolladoras. 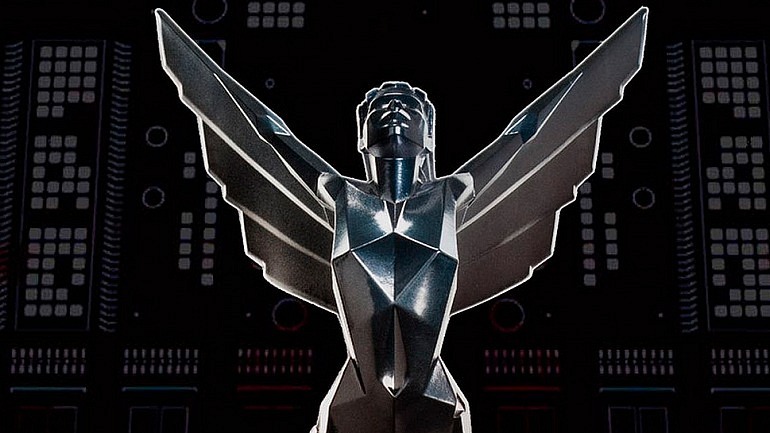 The Game Awards supone una celebración anual para desarrolladores y aficionados a los videojuegos para celebrar aquellas producciones de mayor calidad y popularidad de cada año. Desde su primera versión como galardones anuales otorgados por Spike TV hasta los recientes Game Awards de este año, se trata de una serie de reconocimientos que enfatizan el trabajo realizado por sus responsables y que sirven para respaldar su calidad de cara a los jugadores. Repasamos y ordenamos por número de premios y año los juegos más galardonados, en cualquier de las categorías y sin contar sus DLC, los Game Awards durante los últimos 15 años. No dejes de comprobar tampoco cómo han cambiado los GOTY (Game Of The Year) con los años. Overwatch 6 Premios (2016, 2017, 2018)Game of the Year, Best Game Direction, Esports Game of the Year, Best Ongoing Game, Best Esports Game (2017), Best Esports Game (2018). The Elder Scrolls IV: Oblivion 5 Premios (2006)Game of the Year, Best Performance by a Human Male, Best Original Score, Most Addictive Game, Best RPG. The Walking Dead: The Game 5 Premios (2012)Game of the Year, Studio of the Year, Best Adapted Video Game, Best Performance by a Human Female. Best Downloadable Game. Grand Theft Auto: San Andreas 4 Premios (2004)Game of the Year, Best Performance by a Human Male, Best Action Game, Best Soundtrack. Gears of War 4 Premios (2006)Studio of the Year, Best Shooter, Best Graphics, Best Multiplayer Game. Red Dead Redemption 4 premios(2010)Game of the Year, Best Song in a Game, Best Original Score, Best Original Game. Batman: Arkham City 4 Premios (2011)Best Xbox 360 Game, Best Action Adventure Game, Best Adapted Video Game, Character of the Year. Portal 2 4 Premios (2011)Best PC Game, Best Multiplayer, Best Performance by a Human Male, Best Performance by a Human Female. Borderlands 2 4 Premios (2012)Best Shooter, Best Multi-player Game, Best Performance by a Human Male, Character of the Year. The Last of Us 4 Premios (2013)Studio of the Year, Best PlayStation Game, Best Voice Actor, Best Voice Actress. Red Dead Redemption 2 4 Premios (2018)Best Narrative, Best Score/Music, Best Audio Design, Best Performance. Peter Jackson's King Kong: The Official Game of the Movie 3 Premios (2005)Best Game Based on a Movie, Best Performance by a Human Male, Best Cast. World of Warcraft 3 Premios (2005)Most Addictive Game, Best RPG, Best PC Game. Bioshock 3 Premios (2007)Game of the Year, Best Xbox 360 Game, Best Original Score. Grand Theft Auto IV 3 Premios (2008)Game of the Year, Best Action Adventure Game, Best Male Voice. Metal Gear Solid 4 3 Premios (2008)Best Graphics, Best Original Score, Best Female Voice. Uncharted 2 3 Premios (2009)Game of the Year, Best PS3 Game, Best Graphics. Mass Effect 2 3 Premios (2010)Studio of the Year, Best Xbox 360 Game, Best RPG. God of War III 3 Premios (2010)Best PS3 Game, Best Graphics, Biggest Badass. The Elder Scrolls V: Skyrim 3 Premios (2011)Game of the Year, Studio of the Year, Best RPG. Journey 3 Premios (2012)Best PS3 Game, Best Independent Game, Best Original Score. Bioshock Infinite 3 Premios (2013)Character of the Year, Best Shooter, Best Song in a Game. The Witcher 3 3 Premios (2015)Game of the Year, Developer of the Year, Best Role-Playing Game. The Legend of Zelda: Breath of the Wild 3 Premios (2017, 2018)Most Anticipated Game (2016), Game of the Year (2017), Best Action/Adventure Game (2017). Hellblade: Senua's Sacrifice 3 Premios (2017)Best Audio Design, Best Performance, Games for Impact. Cuphead 3 Premios (2017)Best Art Direction, Best Independent Game, Best Debut Indie Game. God of War 3 Premios (2018)Game of the Year, Best Game Direction, Best Action/Adventure Game. Más sobre: The Game Awards 2018 y Overwatch.